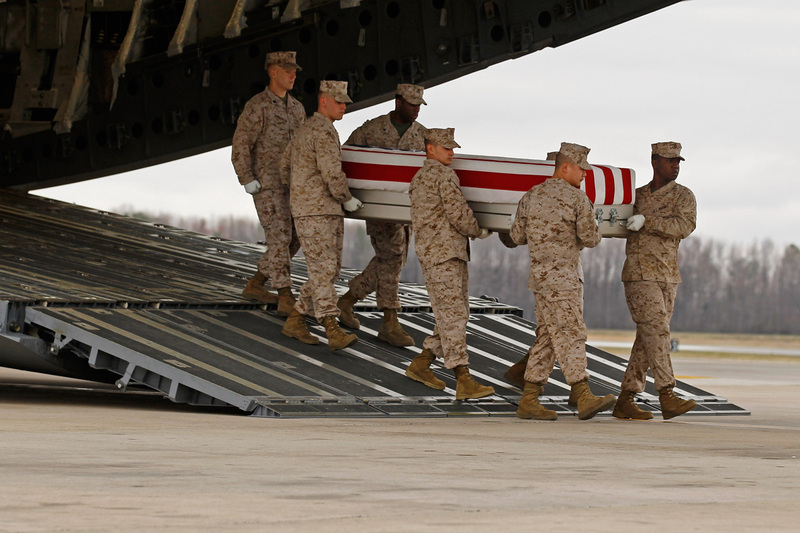 The American news media — and rightfully so — put a lot of pressure on the Pentagon a few years ago to allow the photography of the return of dead soldiers to American soil. But you don’t see many pictures like this anymore and it’s not because they’ve stopped coming. This is Sgt. James Malachowski, who was killed Sunday during his fourth tour of duty in Afghanistan. He was from Maryland. Staff Sgt. Travis M. Tompkins, 31, also arrived back in his hometown — Lawton, Oklahoma — this week. Two more soldiers will be arriving at Dover soon. Sgt. Joshua S. Gire, 28, of Chillicothe, Ohio and Michael C. Mahr of Homosassa, Florida were attacked and killed on Tuesday. They were six days from completing their tours of duty. Two NATO soldiers were killed today. I feel sorry for anyone whose “heart and soul” is the marine corps, or any other branch of the military, of any country.